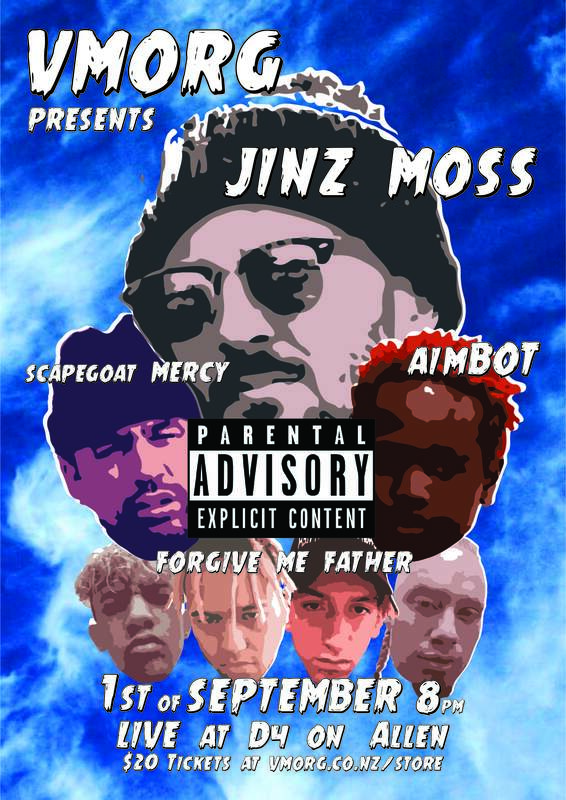 VMorg Ltd, Eyegum Music Collective & D4 on Allen are excited to present their first ever rap gig with Jinz Moss leading the charge, Forgive Me Father, Aimbot & Scapegoat MERCY. Jinz Moss has just killed the scene down south with back to back weekends of sold out shows. Aimbot & Scapegoat MERCY have been bringing Dustyworld to Wellingtons attention but its time to showcase these two talents from the crew! Forgive Me Father are the new kids on the block demanding the respect they deserve, their high energy can only bring some ruckus. 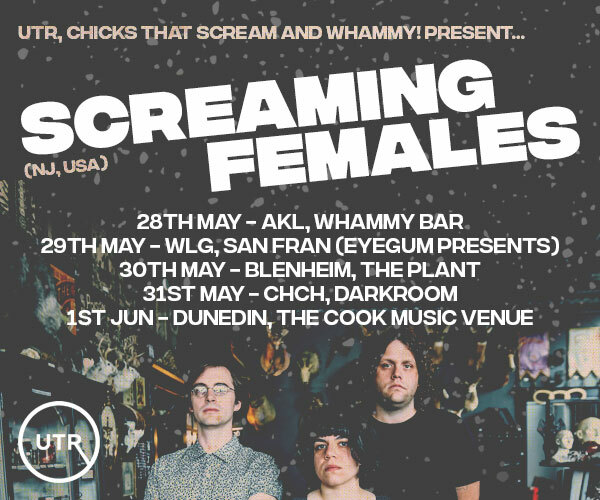 Get in quick, the last VMorg Ltd gig sold out of pre-sales and was max capacity by 10pm on the night!